WorkFit Staffing combines over 40 years of staffing experience from our dedicated team of professionals. Utilizing a variety of screening techniques including personality tests, skill assessments and job specific proficiency tests, we are able to provide you with exceptional personnel no matter how unique your staffing requirements. We recruit the best medical professionals in the industry to meet the demands of the healthcare marketplace. Our ability to identify problems and implement cost effective staffing solutions enables our clients to focus on growth, revenue and patient care within their organization. The overall value of our staffing services can be identified through proven results. By utilizing short term assignments or per diem supplemental staffing services our clients don’t have to commit to dedicated scheduling. This option allows for the largest flexibility with regards to staffing needs. We can generally fill requirements in as little as one hour! Our most advantageous method for our clients to ensure that our healthcare professionals are the absolute perfect fit for their organization before they commit to bringing them on as a permanent member of their staff. We can build 90, 120 or 180 day contracts to suite your needs. By utilizing our agency for your recruitment needs you can ensure the time consuming steps of screening and recruiting new talent are not distractions to the ongoing operation of your practice. All applicants are rigorously screened before presentation to our clients. From per diem to permanent placement, part-time to full-time, we assist you in securing the preeminent healthcare professionals you count on. A WorkFit representative will work with you to identify which staffing opportunity best reflects your company’s requirements. Our staff is available 24/7. Contact us anytime! You are only a few short steps away from an exciting and lucrative career in the ever growing medical field! WorkFit Staffing prides itself on placing healthcare professionals in positions that suit their lifestyles while meeting our clients needs. The WorkFit Staffing business model allows our employees to choose from a variety of career opportunities, thus allowing a customized approach unique to your lifestyle and career choice. When your lifestyle requires a flexible employment schedule, working on a per diem basis allows for assignment opportunity as needed. When you are ready to settle into a long term role with a client that also allows you the freedom to not have a career commitment unless you choose it. 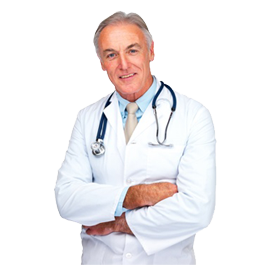 Most temporary assignments last between 90-120 days before determination is reached to bring you on as a permanent healthcare provider. Looking to take your talents and match them with the perfect employer? We have multiple healthcare partners throughout the region who are looking for exceptional talent to add to their team. So let us help make your career search easier by allowing our professional staffing team find you the best opportunity for your skillset and career requirements. 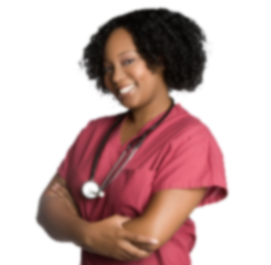 We also have the capacity to fulfill nonstandard medical industry needs such as: janitorial, clerical, administrative and many more! From short term to permanent placement, as needed to part-time to full-time, we have multiple opportunities available with numerous healthcare facilities across the region. Our staffing professionals will work with you throughout the recruitment process. Are you ready to take the next step in your professional career? You can apply now or browse our current job openings on the careers tab. In 2002, a local emergency room physician, C. Jay Ellie, Jr., MD, identified numerous shortcomings in the healthcare and staffing provider arena. The need for quality occupational health and medical staffing in Rochester, New York, motivated him to establish two companies dedicated to providing the highest level of customer service and patient care. WorkFit Medical and WorkFit Staffing became Rochester’s only full-service workforce solutions provider. Our business has grown to allow us to offer you solutions that meet your needs. We provide our partners with unparalleled services in the most cost efficient manner. A staffing solutions company offering services that range from temporary to permanent placements. A full service occupational health provider offering a multitude of services. An emergency department program management provider and full-time emergency room physician staffing company. A hospitalist program management provider and full-time hospitalist physician staffing company. A state of the art medical center that provides acute illness and injury care as well as diagnostic tests, laboratory services and radiology. Our experience and versatility give us the unique opportunity to provide customized solutions. We believe that a healthy employee is a productive employee and we strive to meet the many standards of occupational healthcare. Our companies have evolved and are growing faster than ever. We believe in building long term relationships with our clients. Our greatest strength is our employees as we continue to raise the standards of staffing solutions and occupational health care. As a small business located in the Western New York area, we are in a unique position to serve your business because we have many of the same needs. Let us help you to succeed. ©2019 WorkFitStaffing. All right reserved.